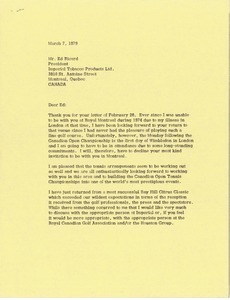 Canada - Enclosing materials from Dave Zink concerning a proposal for a Canadian golf tournament. 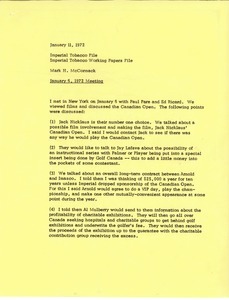 McCormack outlines Zink's requests including, date, format, cost, publicity. 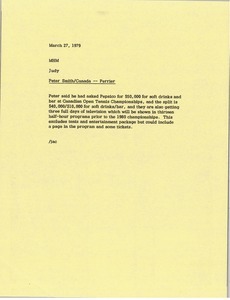 A letter of proposal is requested noting that Peter Smith may be involved. 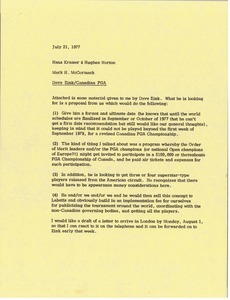 In addition, McCormack briefly comments on their potential fee and terms. Enclosures not with memorandum.